What an amazing day! 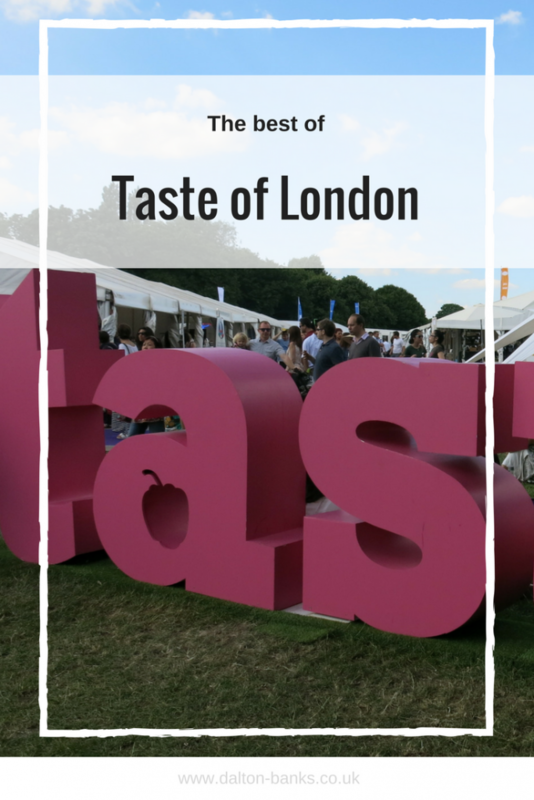 I went to Taste of London for the first time on Saturday and I can’t get over how brilliant a day it was. 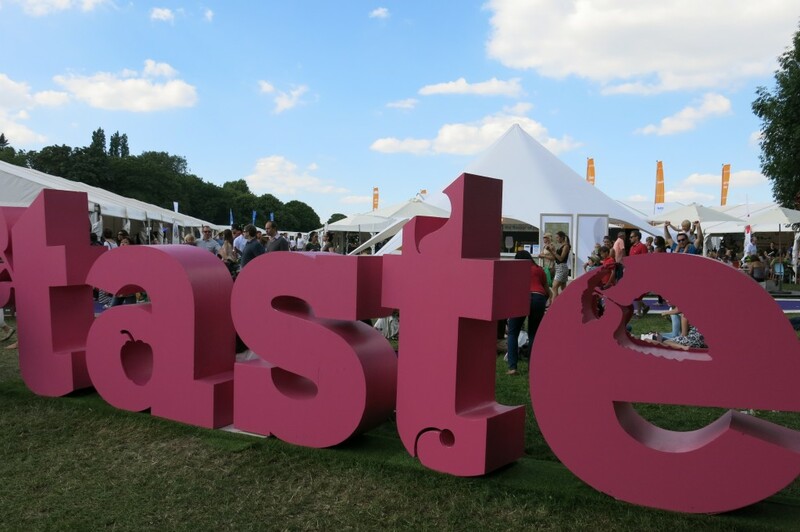 Taste of London is an annual festival held in the beautiful Regents Park. 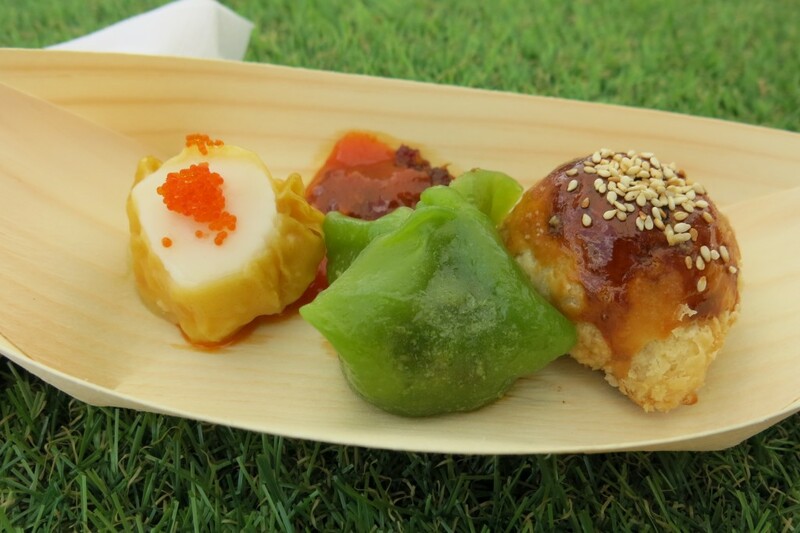 40 of London’s hottest restaurants set up camp for 5 days to give you a sample of their finest dishes. There is also a large variety of artisan producers and premium brands there for you to discover. There are interactive classes, masterclasses, champagne tastings and so much more, the four hour sessions fly by. We had glorious sunshine throughout our afternoon which definitely made the cocktails go down a lot quicker. We arrived just after midday and went straight for a watermelon mojito to quench our thirst from DSTRKT as it was right by the entrance. Then we began our adventure. 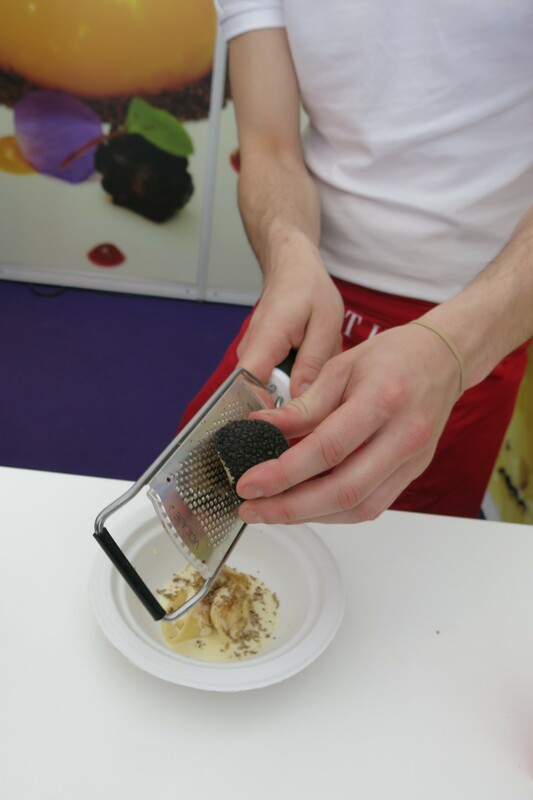 We didn’t know where to look as there was just so many interesting things going on and so much tantalising food! There were a few things I was keeping my eye out for as I had spotted them over twitter on previous days. 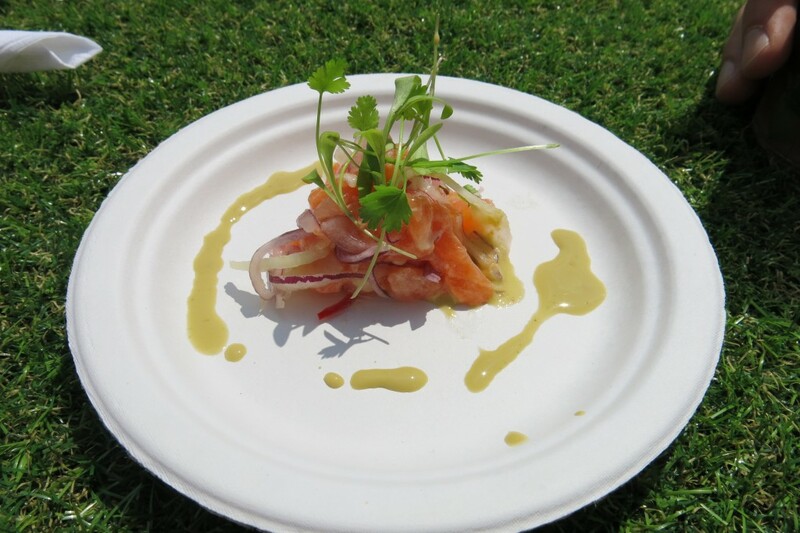 On a recommendation, our first stop was Gaucho for the sea trout ceviche. This was delicious, so fresh and I loved the pink grapefruit. What a perfect dish to start with. Next door was Tartufo. Everyone was coming out with a tortellini, ooing and ahhing. We had to try some. 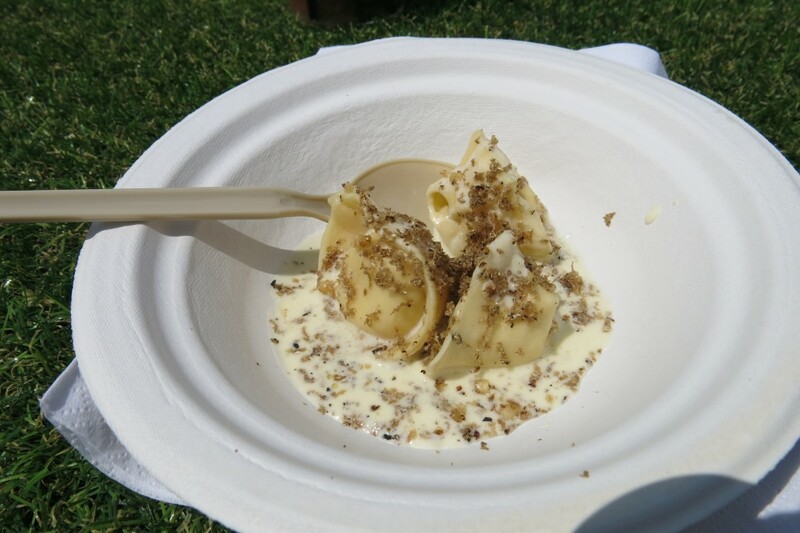 It was a light truffle tortellini with liquid parmesan, mascarpone cream, fresh walnut and summer truffles. It was divine and surprisingly light; definitely a highlight dish of the day for me. Next up, Duck and Waffle. 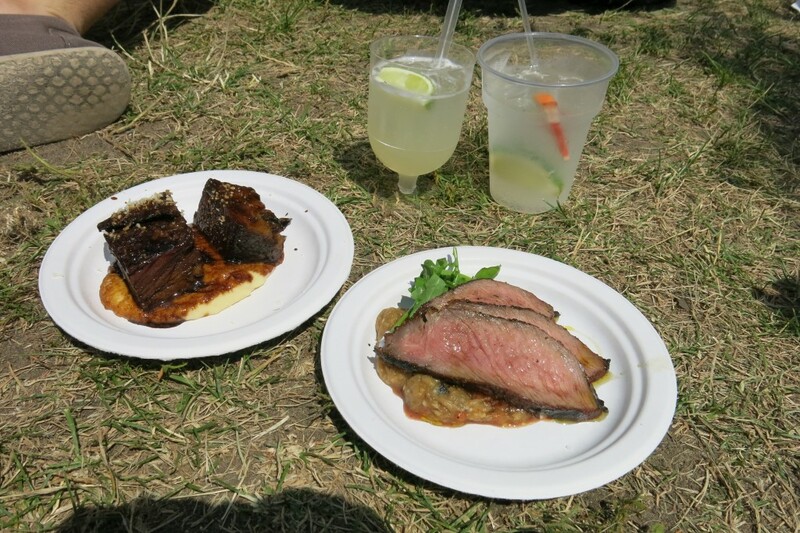 Obviously we had to order the pigs ears and we also went for the braised ox cheek served with cheesy polenta. The pigs ears didn’t wow me, but maybe that’s because I’m not a crackling type of girl. But the ox cheek was delicious, the man especially loved this. We had a little break at this point for my first margarita of the day. You are spoilt for choice on the cocktail front at the festival, which I love (though my head didn’t love this so much the next day). One of the restaurants I was keeping my eye out for was Roka. 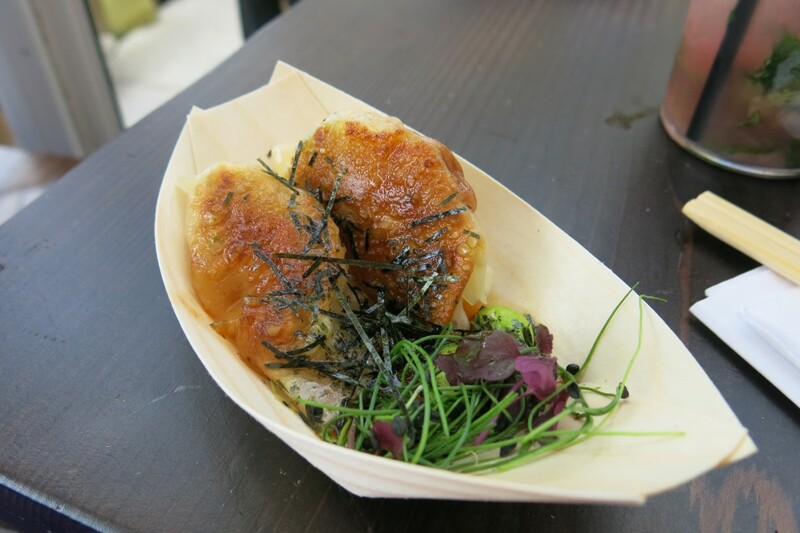 I had to stop myself ordering everything off the menu – their open bbq was very enticing but we just went for the dish I had heard lots about – cod, crab and crayfish dumplings. Wow. These were amazing. The tangy chilli dressing went perfectly with the rich fish. This was the only dish of the day we both ordered a portion each. 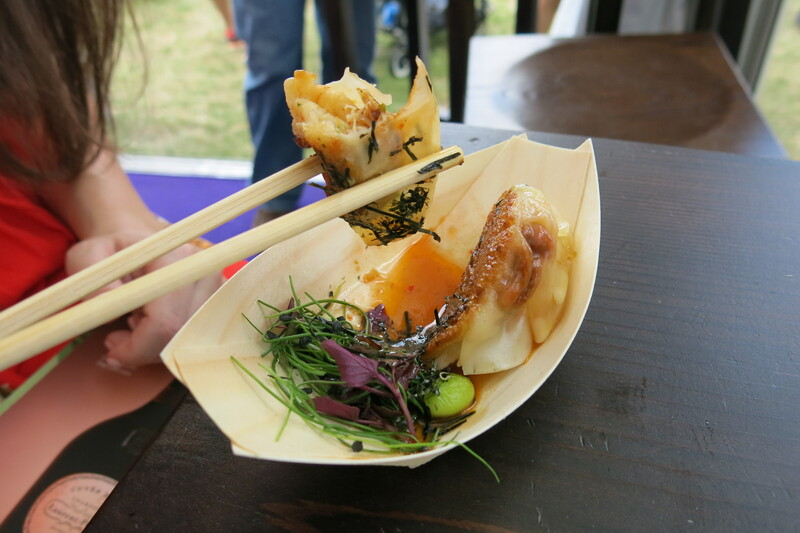 The dumplings were at this point the highlight of the day, but then, as we were making our way to Salt Yard for the courgette flower with goats cheese (which was so so, least favourite dish of the day) we walked past lots of people gathering at Le Gavroche. Who do I see? Michel Roux Jr. A slight squeal and we head in. I’m very happy with my signed copy of French Country Cooking and the fact I got to meet such an amazing chef. He is a true french gentleman. My husband said I haven’t smiled that much since our wedding day, ha. Anyway, back to the food. 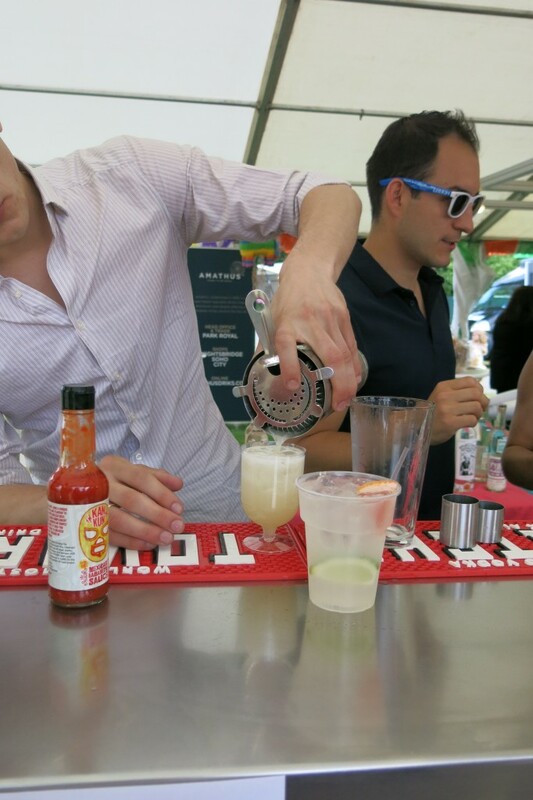 The next cocktail was a gin based one from Boxer Gin, very refreshing. Can you tell I like cocktails? We had two good dishes at Barbecoa; the short rib and Rump steak. Thoroughly enjoyed these. Our last stop was Yauatacha. We couldn’t decide what to have so we went for the dim sum platter which had all three: scallop, wild mushroom and venison. All delicious, wild mushroom was surprisingly our favourite. One more margarita for the road and then we waddled home. Great day out and I can’t wait to return next year.